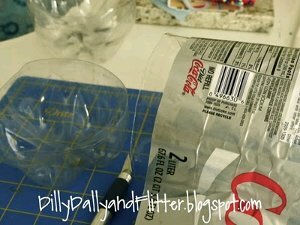 Upcycle some water bottles into storage instead of letting them sit in land fills. You can have an organized craft room while being green if you recycle containers with water bottle storage. 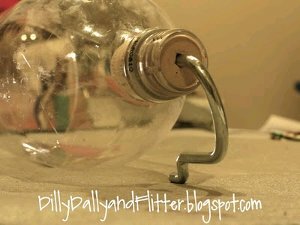 Cut off the bottom of any narrow mouth bottle. 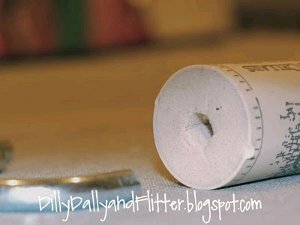 Next dig up some corks around the house… or if you don’t have any… get busy drinking! I used my hand held straight edge razer to notch a star shape into the end. Insert the hook into the bottle mouth. 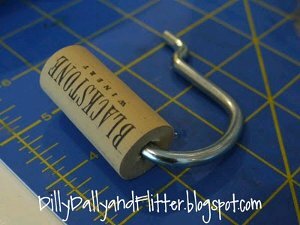 OR you can attach the hook to the pegboard and then push the water bottle onto the hook with cork. 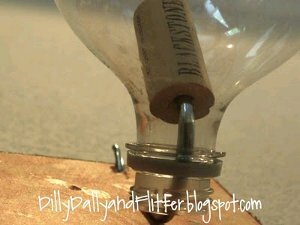 For more upcycled storage solutions and other craft ideas using recycled materials, take a look at these 14 Easy to Make Water Bottle Crafts. 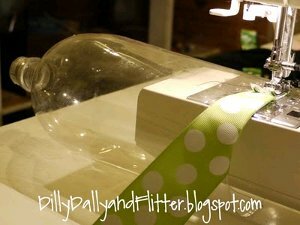 you actually sewed ribbon ON the bottle with your sewing machine? Did you use a "special" needle? Hi there, From the image, it appears that the ribbon is sewn onto the bottle. I will double check with the blogger and update the product if needed. Thanks! What a Very Good Idea with Old Records Off the Shelf Water Fountian I'm going to try it. Thanks for sharing. 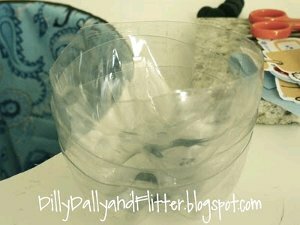 I cut water or other drink bottles to use the tops as funnels for beans and spices that tend to clog my other store-bought funnels. I tried to enlarge the photo of the finished project for more detail, no luck..gues I'll have to use my imagination! 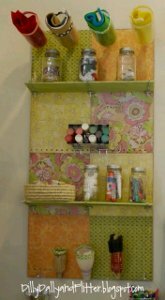 Awesome idea thou, I want to go organize my craft room and try this but can't, need some items and weather outside is toooooo gorgeous! Excellent pictures - really make the instructions. The bottoms of the bottles can be used as pot saucers under plants.